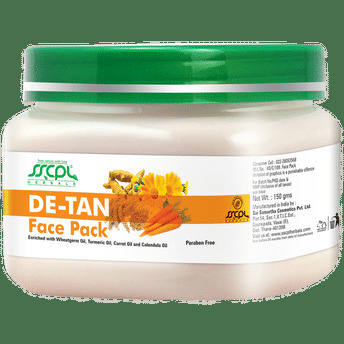 Enriched with a unique blend of essential oils and extracts that have hydrating, healing and brightening properties making it the SSCPL Herbals Detan Face Pack is perfect for gentle exfoliation and damage repair from sun exposure. Apart from being used in treatment facial kits, the pack can also be used independently to nourish, rejuvenate and soothe tanned skin. This formula is complete with the goodness of natural components such as wheat germ, calendula, turmeric and carrot oil best suited for tanned skin, that also moisturise the skin to ensure lasting benefits. 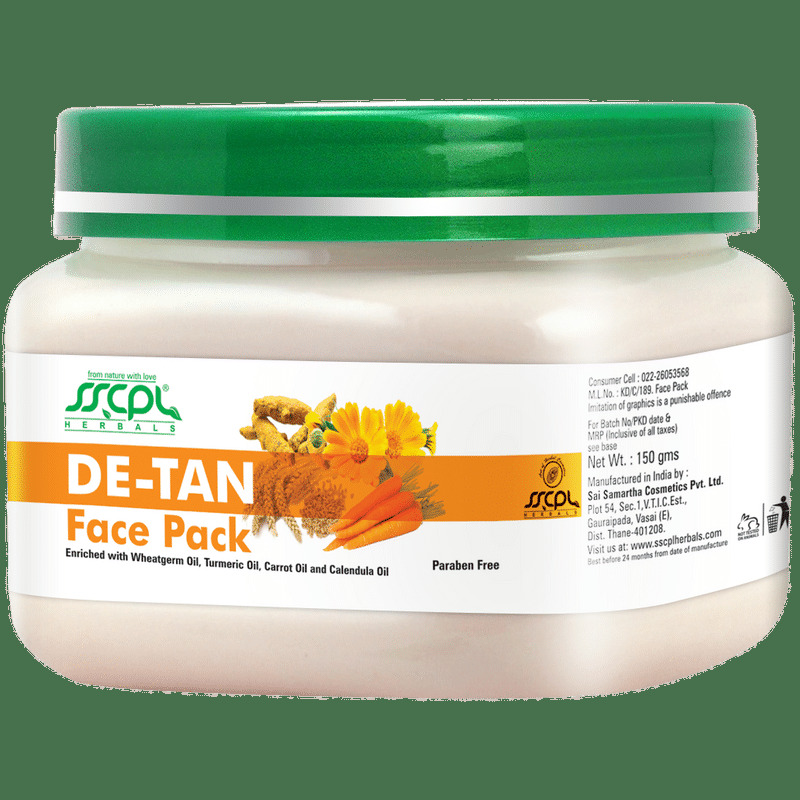 About the Brand: SSCPL Herbal India began its journey in 2002, with a clear understanding of the need to provide an all inclusive range of herbal products essential to look after the health, hygiene and beauty of every individual. The carefully formulated products are a combination of a precise study of the properties of various natural herbs and their beneficial effects. When given in apt proportions the brand addresses almost any and every type of skin concerns. All of the products are made from 100% vegetarian and certified organic ingredients.